Islanders Goalie Robin Lehner Writes About His Mental Health Struggles: "I Wanted To Kill Myself"
New York Islanders goalie Robin Lehner wrote a candid essay for The Athletic about his years-long addiction to drugs and alcohol, his thoughts of suicide, his time in rehab, and his eventual bipolar diagnosis. This dark place is full of self-medication and thoughts of suicide. The phone call I made to Andrew the night before? I was drunk. I wanted to kill myself. I was extremely close multiple times. The battle playing hockey was nothing compared to the battle inside my brain. It was at its worst. 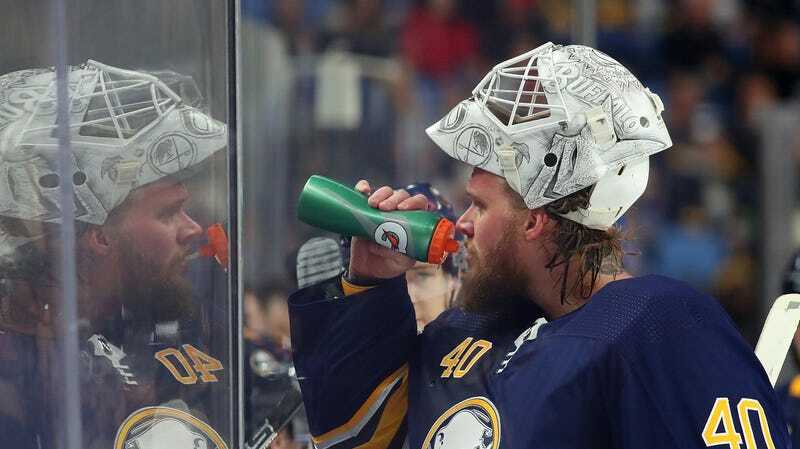 Lehner ended up playing the next day but suffered a full-blown panic attack and couldn’t finish the game. The rest of the essay describes his stay in rehab—weeks of detox from pills and alcohol, his discussion with doctors about past trauma, bipolar diagnosis, and eventual sobriety—as well as his journey back onto an NHL team. The whole essay can be read here.